Everything in the Formula E world is looking as good as the next generation of cars showcased earlier this year. In the past few months Audi have confirmed works engagement in the series. Prior to that BMW announced their entry in 2018 with the Andretti team. Now Mercedes have shocked the motor sport world by leaving the DTM for Formula E.
Few racing championships in recent memory have been able to lure three major car manufacturers in such quick succession. Championships around the world – F1 included – will not admit it but they are probably looking on enviously at Formula E’s latest developments. The confirmation this week that Mercedes are ditching the German touring car championship – the heart of German motor sport for decades – in favour of a works entry to Formula E is undoubtedly the most impressive. Aside from potentially killing the DTM in its current format, the decision has sparked extensive debate within the wider motor sport community. The death of traditional motor racing? Those directly engaged and invested in the series have been, to put it mildly, crowing over the Mercedes decision. From drivers to journalists, the Mercedes confirmation has been viewed as a ringing endorsement of the Formula E concept. Some have been less than subtle in asserting that the Mercedes defection has confirmed Formula E is the future of motor sport. And the implication being that the DTM, F1 and all other non-electric championships are doomed to die. Undoubtedly increased direct involvement of car manufacturers in Formula E is good for the series. It legitimises the concept and brings with it a vast increase in marketing and promotional power. Audi, BMW and Mercedes will be keen to promote Formula E and the connection to the increasing electrification of their road cars. For the former of course it is vital in restoring consumer confidence following the diesel emissions scandal that continues to rumble on. Renault wil be joined in Formula E in 2018 by Audi, BMW and Mercedes. But despite what Formula E insiders believe, manufacturer involvement can only do so much for the series. Ultimately it will be fans that decide whether Formula E is the future of motor sport or not. Road relevant but is it fan relevant? In the space of a year the road car relevance of Formula E to manufacturers has increased exponentially. Conversely the relevance of Formula 1 and its hugely expensive hybrid engines has decreased. Manufacturers are falling over themselves to announce plans to ditch the internal combustion engine (ICE) and go all-electric. Even the ICE/electric hybrid power units adopted by F1 appear to be already out of favour in some cases. Motor sport has long been a proving ground for technology that makes it way in to road cars. Hence the desire for car manufacturers to test their technology on the track. However it would be naive to believe the primary driver of their involvement is anything other than selling cars. Major car manufacturers go racing to promote their brand and sell cars. Their technological innovation and engineering prowess is an important component of the marketing ‘sell’. But it is not inherently the reason for racing. Fans in the grandstands, watching on TV or live streaming are the focus. They are the target audience for the road cars Renault, BMW, Audi and Mercedes make their money from. Win on Sunday, buy on Monday as the old adage coined by American Ford dealer Bob Tasca Sr goes. Can Formula E offer ‘Win on Sunday, sell on Monday’? In this regard the involvement or otherwise of multiple car manufacturers within Formula E becomes somewhat irrelevant. If after a few seasons the impact of Formula E participation is having a negligible impact on brand awareness or all-electric road car sales, manufacturers will reconsider their involvement. Without fans buying in to the concept and engaging with all-electric as the future, Formula E will fail to usurp F1 as the pinnacle of motor racing. If Formula E can attract fans away from F1 (or to motor sport for the first time) in significant numbers then its future will be assured. In time it may eventually surpass F1 and that is not inconceivable. But all of this is predicated on fans switching sides and joining the electric revolution. Formula E could be full of major manufacturers in the next 5 years. By 2018 it will feature an all-star line-up of Renault, BMW, Jaguar, Mercedes and Audi. But if race attendances are not increasing, broadcast deals are not in high demand and fans are sticking with ICE championships, the series will remain an interesting category of racing and nothing more. F1 by contrast has a real challenge on its hands to decide what it wants to be in the next 5-10 years. 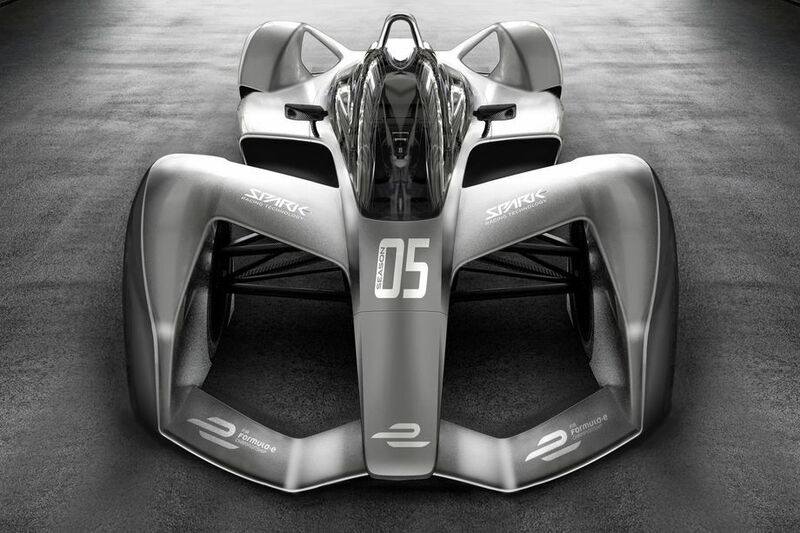 Formula E appears to have road car relevance completely covered as cities, countries and manufacturers move from the ICE to all-electric. Indeed the hybrid period appears to be nothing more than a short-lived but very expensive stepping stone to all-electric. F1’s future will almost certainly lie in going back to its roots: sport first, road relevance firmly second. Of course the likes of aerodynamics, new materials and design processes will always give F1 an element of road car relevance, but much less so than Formula E in terms of core ethos and engineering. Formula E’s proponents and fans should be careful what they wish for. Every long standing motor racing series in the world has seen the highs and lows that come with manufacturer involvement. Just as Mercedes and Audi have ditched the DTM and WEC respectively for all-electric racing, there may come a time when they do the same to Formula E.